Self-care is an important, and often overlooked, aspect of food system sustainability. 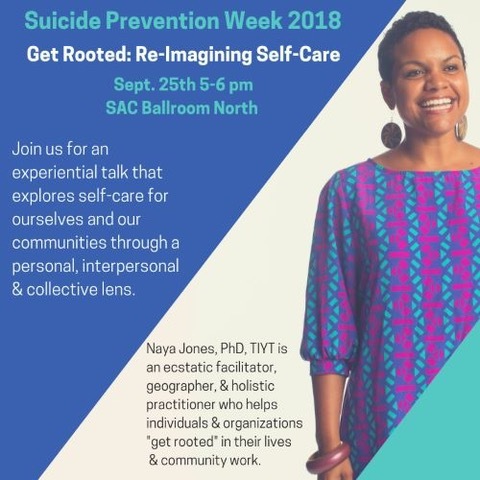 Join our friend, Dr. Naya Jones, tomorrow from 5-6pm at the SAC Ballroom on UT Campus as she explores the topic self-care through a personal, interpersonal, and collective lens. Free T-shirts and food while supplies last!